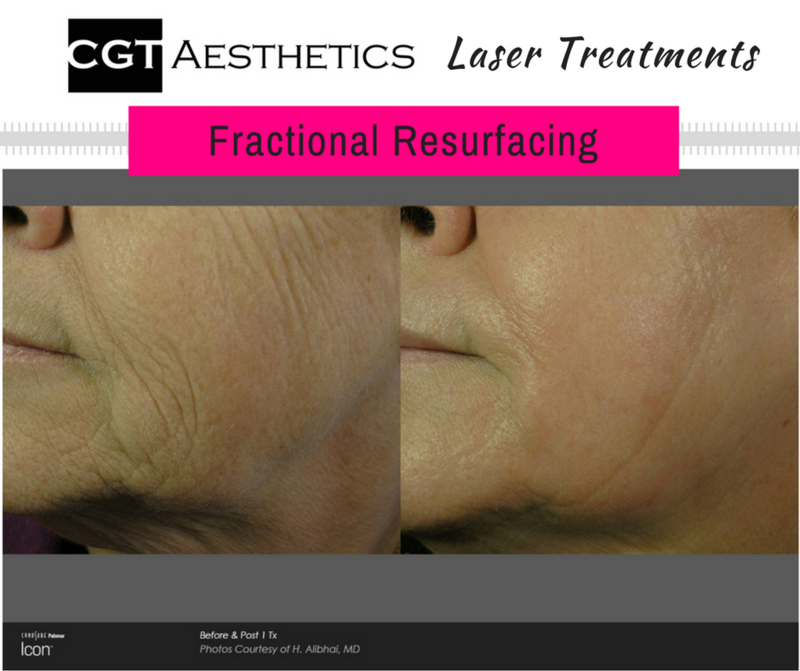 Younger looking skin is easier than you think with laser skin resurfacing treatments at CGT Aesthetics. This treatment is ideal for improving skin tone and texture resulting in smoother, more youthful looking skin. 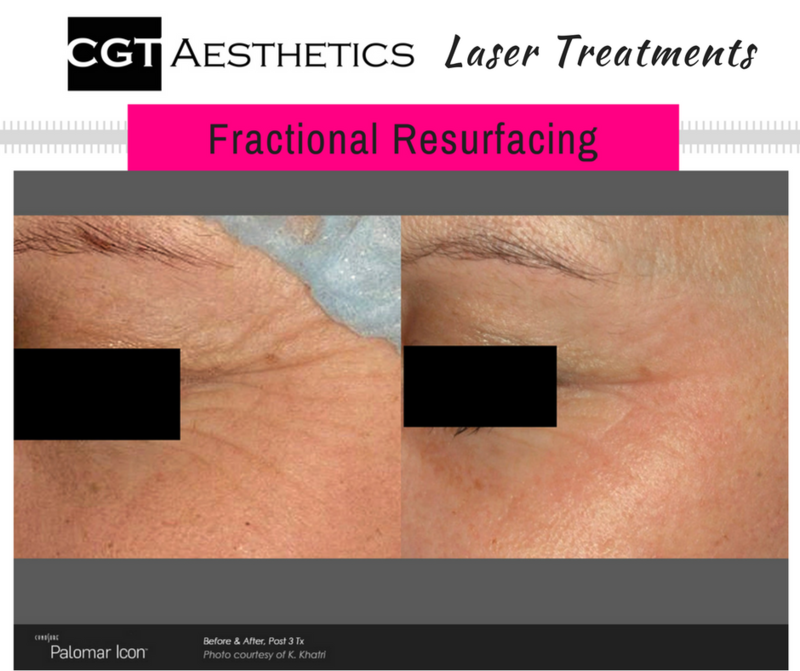 It allows you to achieve long lasting results without the pain or side effects associated with a more invasive surgery. Best of all, you will still look like you – only better! 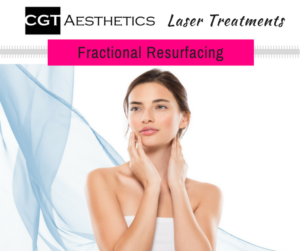 Treatment plans can be adjusted to fit everyone’s lifestyle and our Aesthetician Jessica will speak to you regarding desired downtime, comfort, and results. Expect to see a decrease in the appearance of brown spots, sun damage and fine lines resulting in a smoother, more even skin tone. Typically you may resume your daily activities the same day of the treatment, our Aesthetician Jessica will speak with you regarding expectations. Sometimes only one treatment is needed however, depending on the condition being treated, a series may be recommended. 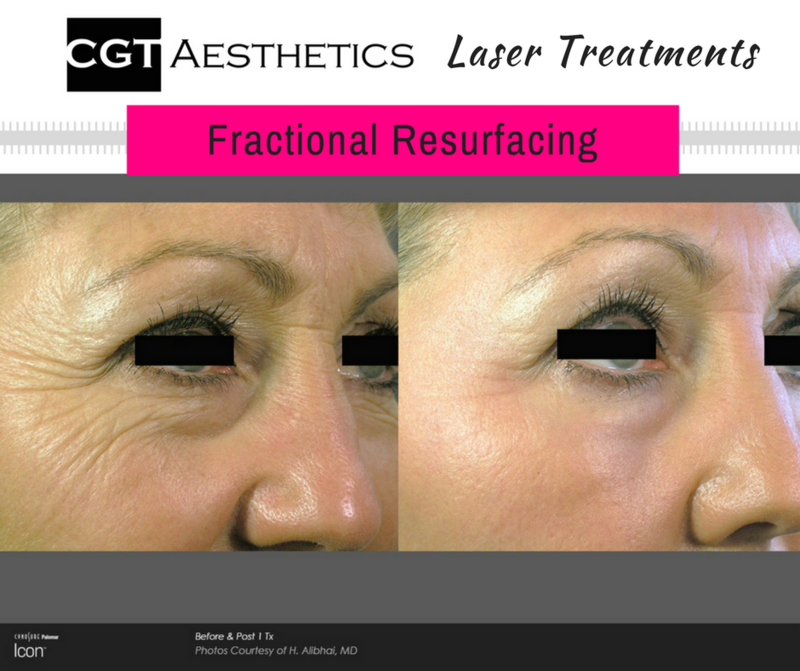 You may experience a temporary redness, warmth and swelling at the treatment site which typically lasts 1-3 days.